I started to write a Thanksgiving post and for inspiration I went back and looked at what I wrote last year. You know what? Like the holiday we celebrate here in the USA today, what’s going on around here hasn’t changed much so I’m reposting the tome below. To those of you who had a great 2009, give thanks. To those of you who didn’t, give thanks it’s almost over and 2010 looks better. Let’s all of us give thanks that we’re here to enjoy the holiday and the three F’s it represents. You ever get a chance to think? I don’t mean those 2 minute mental checkouts we all have from time to time. I mean THINK! I didn’t used to very often but now I do and it’s pretty great. As we get older and our lives become more full, many of us are hardly ever alone when you think about it (no pun intended). At home, our family is usually around. Maybe a pet or two. Generally there’s a distraction available and often intruding. In the office, there are too many people and phones and emails. Even with the door to your office closed (hey remember doors? Or offices!? ), you’re not alone and it’s rarely quiet. Commuting? Even plugged in to your headphones there’s a lot of stuff going on around you. Nope. Hard to think. There are a number of things I don’t like about working outside of the traditional office environment but one which I don’t mind is that I do have really quiet time. The sounds I hear a lot are only occasional traffic and the wind. 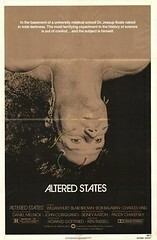 The kind of thinking I’m envisioning is something like William Hurt in “Altered States” without the deevolution part. A place opened here in town which has those tanks and for folks who don’t get the chance to tune everything out it could be a great place to check out. It’s almost that little bit of time while you’re lying in bed with the lights out and before you fall asleep. Your mind wanders from thought to thought – ideas pop in and out. It’s far less structured than what we all do much of the day and yet it may be from where a number of the best ideas come. Can you find the time to think? Traffic to Twitter continues to decline as the microblogging site seems to have passed its peak in popularity, according to data aggregated by eMarketer. Nielsen has traffic to Twitter.com down by a dramatic 27.8% between September and October 2009, falling to 18.9 million unique visitors. comScore claims unique visitors to the site are down by 8.1% in October. Compete reports a 2.1% decline during the month. Disclaimer to those Twitter stats we published yesterday: the figures just include unique visitors to the Twitter web site and do not include third-party application or mobile phone usage, according to Nielsen. That’s not to say that apps that feed into the Twitter community such as TweetDeck, TwitPic, Tumblr, etc. aren’t also losing followers, however. Nielsen studied audience retention on a number of those apps last April and found that about 60% of users who try these services end up abandoning them after one month – about the same abandonment ratio as on Twitter.com. Well, we all know that there is a large abandon rate for many new apps and services as users try them until them settle on the one with which they’re most comfortable and which accomplishes whatever task to their satisfaction. I’ve been through a bunch of Twitter interfaces just as I’ve tried and abandoned several niche social networks, different browser add-ins, and even makes of PC over the years. One quick look at the tweets I get from the folks I follow shows a wide diversity of clients, very few of which are the Twitter interface itself. The lesson? Don’t take research at face value. Ask questions, especially the ones not asked in the research itself. Those are my thoughts. What are yours? Will the stupid things companies do ever cease? Maybe when the companies themselves go out of business for being complete idiots, I guess. But in the interim, they sure provide a good amount of material for this space. I only found three examples over the weekend (I know – slacker) but since they’re all pretty egregious, I thought I’d share them.